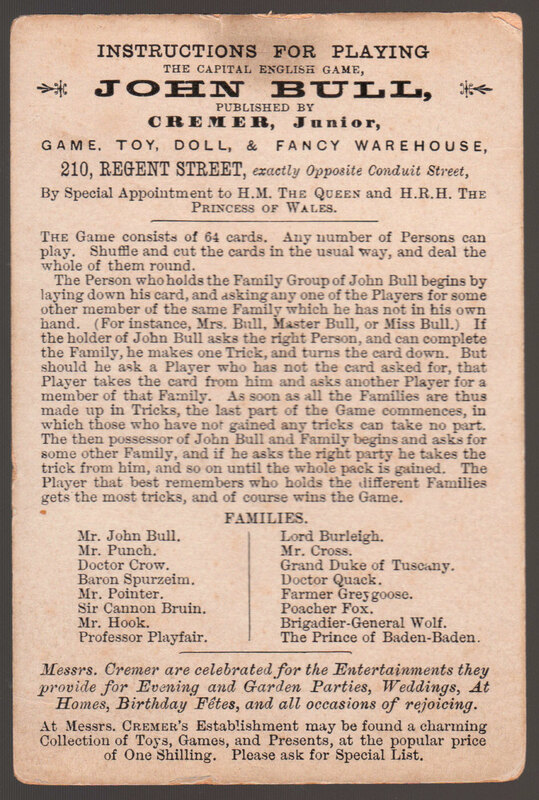 The game has a total of 16 families, and a selection of the remaining family cards is shown below. 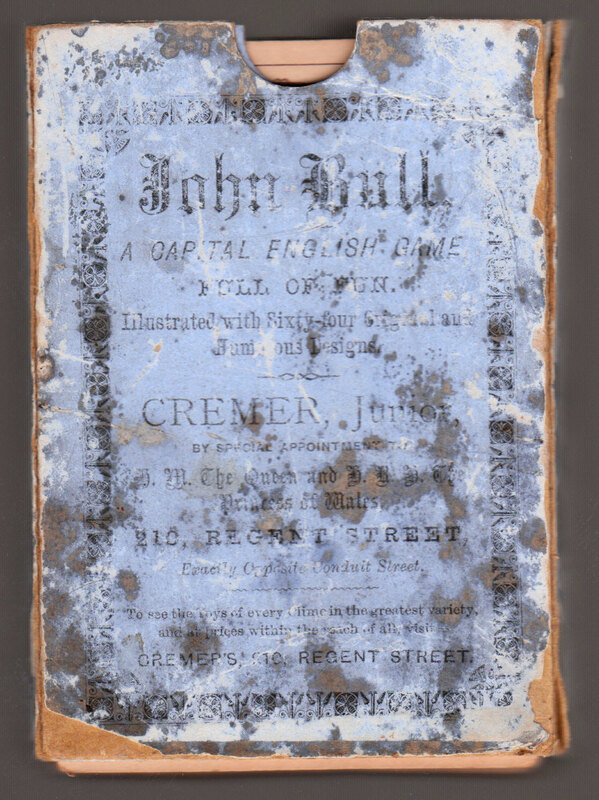 Above: “John Bull”, the Capital English Game published by W. Cremer, c.1865. 64 cards + instructions in cardboard box. The cards are very large = 76mm x 114mm. Backs are plain uncoloured. Earlier editions are known in wooden boxes. Images courtesy Rex Pitts.